High Peaks Initiative is a collaborative of local, regional, and national organizations working in Maine’s High Peaks region. Our Mission is to protect important natural resources, secure public access, and support healthy human and natural communities in Maine’s High Peaks. 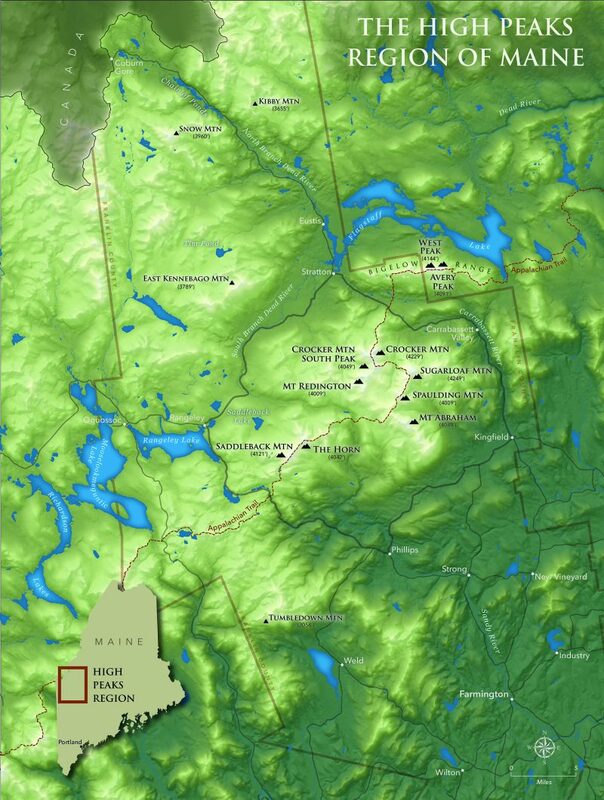 The headwaters of the Androscoggin, Dead, and Kennebec Rivers including remote lakes and ponds that support native brook trout and numerous fast flowing streams that are recognized as prime spawning habitats of the endangered sea-run Atlantic salmon.